Effective immediately and continuing year-round, Naperville Running Company will offer a rental program featuring blueseventy triathlon wetsuits. This is a great option for those who have not yet decided to invest in a wetsuit of their own and an opportunity to try out a top quality wetsuit in race conditions before purchasing. We specialize in proper fit. It’s what we do at NRC. A wetsuit purchase is an investment and it should be done right the first time, and that’s why we are offering this program — to give athletes the opportunity to be sized for and to rent a top quality blueseventy wetsuit. All wetsuit rentals are in-store only and are available year-round on a first-come-first-served basis, which is something to keep in mind during peak racing months. We offer the opportunity to schedule wetsuit rentals in advance and highly recommend that you reserve a wetsuit as soon as you know the date of your race. 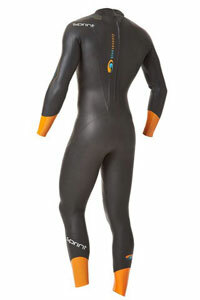 Wetsuit rentals are $50, non-refundable, paid at the time that you reserve the wetsuit. The fee covers a four-day rental period, Thursday though Monday. 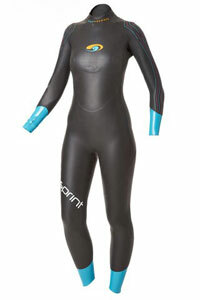 Wetsuits available for rent are either a men’s or women's blueseventy Sprint wetsuit. Retail cost is $230. We do offer a purchase option as well. To rent a wetsuit, email marisa@runningcompany.com to schedule a wetsuit fitting any time during store hours. Or you can stop by during store hours for a fitting. 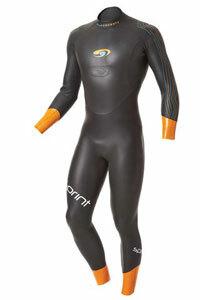 Once you have established your size, we will reserve your wetsuit for your race date. You will need to pay the $50 for the suit rental at this point and provide a credit card for deposit in case of damage or loss. All blueseventy wetsuit fittings will take place at NRC North. When you come in to be fit for and reserve your wetsuit, we will take all necessary measurements to ensure proper fit. Please bring the tri suit, swim suit, tri short or whatever you plan on wearing under the suit during your race. If you decide to purchase a wetsuit, we will double check the measurements and make sure the fit is correct before you purchase it and make it yours. The rental period is Thursday through Monday. Once the wetsuit it fit and reserved for the race, renters can specify either NRC North or NRC South from which to pick it up during store hours on the Thursday before the race. Wetsuits must be returned to NRC North or South by closing time (8 p.m.) on the Monday following the race. An additional fee of $5 per day will be charged for wetsuits returned after Monday. If the wetsuit is not returned by the following Friday (8 days after pickup), the full deposit (retail value) of the wetsuit will be charged to the renter’s credit card. The full deposit value is the full retail value of the suit, but it will only be charged if the suit is not returned or is determined to be significantly damaged by NRC. The wetsuit must be returned in the same condition as it was taken. In the event of loss or damage, NRC reserves the right to use all or part of the deposit to replace or repair the wetsuit. Tears incurred during the rental will be charged at $5 per tear. If the renter decides to purchase a wetsuit the same day as returning the suit, we will apply a one-time $20 credit toward the purchase price of a brand new, in-the-box wetsuit. If the renter decides to purchase the same suit that he or she has rented, we will apply a one-time $50 credit toward the purchase of the wetsuit.